This is our second page where you will find physique models taking measurements of their tremendous physiques. Measurements of Christina Bashara and the massive "Beefnuggette" Paige Sandgren! Jessica Chapa is quickly becoming known for having some of the hottest quads! Check out these 25" monsters! Kim Perez and her massive muscles are measured! Alina Popa measures her gorgeous muscles. 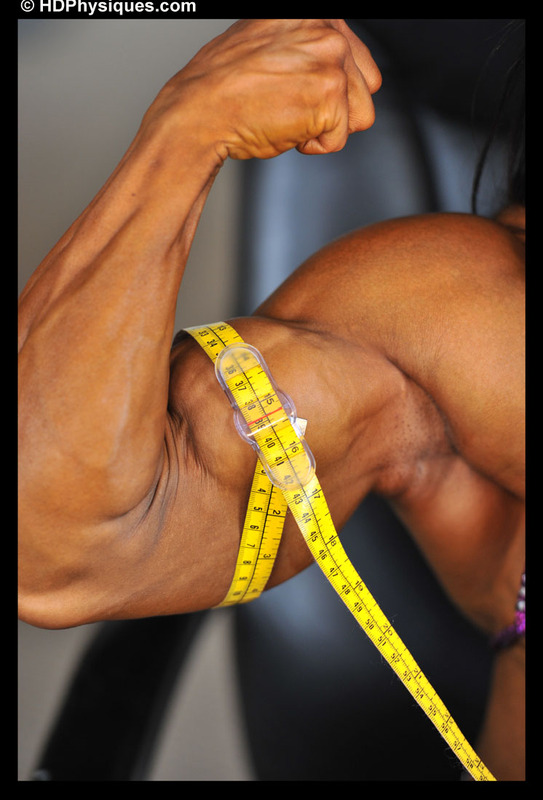 Nidia Hermosilla-Ocompos Measures her Forearms and Biceps.